The Praxis II tests are a battery of tests designed to ensure that teachers are qualified to teach in their preferred field. For those wishing to teach young children, you must pass the 120 question Praxis II Interdisciplinary Early Childhood Education test. We at Mometrix have crafted the Praxis II Interdisciplinary Early Childhood Education practice test to assist you in this endeavor. 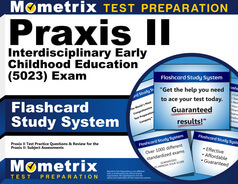 The free Praxis II Interdisciplinary Early Childhood Education practice test will cover the same content as the actual test. Content such as: Growth and Development of Young Children Across the Spectrum of Development; Educational And Service Requirements for Children with a Range of Abilities and Special Needs; Curriculum, Instruction, and Assessment for Young Children; Play and Learning Environment for Young Children; Collaboration with Families and Colleagues; as well as Professionalism and Growth through Professional Development. When taking the actual test, you will have two hours to complete every question. Mometrix Academy is a completely free resource provided by Mometrix Test Preparation. If you find benefit from our efforts here, check out our premium quality Praxis II Interdisciplinary Early Childhood Education (5023) study guide to take your studying to the next level. 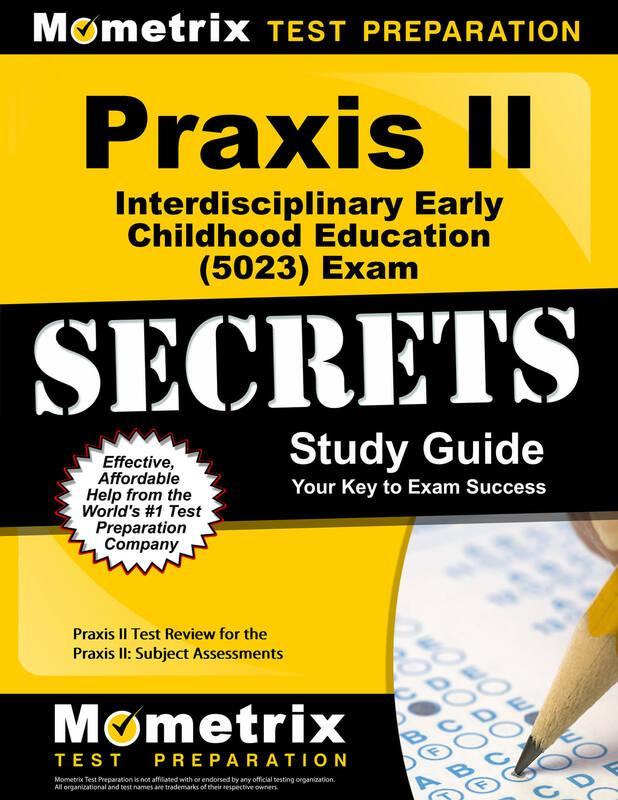 Just click the Praxis II Interdisciplinary Early Childhood Education (5023) study guide link below. Your purchase also helps us make even more great, free content for test-takers.